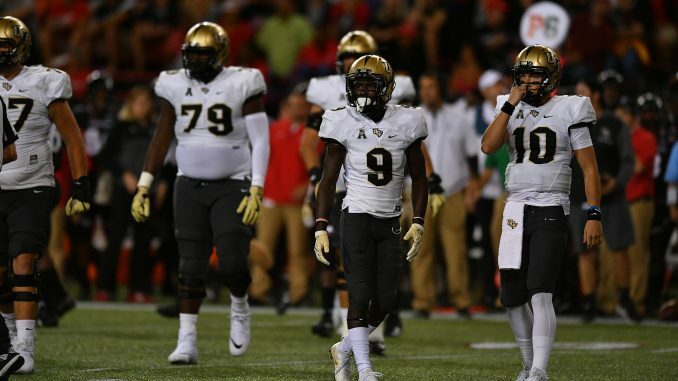 The preseason Coaches Poll has been released, and UCF fans are likely unhappy with where the Knights have been placed. Despite capping off an undefeated season with a Peach Bowl win over a top 10 opponent last year and returning almost all of the talent from that squad, UCF landed at No. 23. Not only is this significantly lower than Knights fans were hoping for, but it isn’t even the highest ranking for a Group of Five team. Boise State came in one spot ahead of UCF. The low ranking more than likely stems from the fact that the Knights lost their entire coaching staff this offseason, when Scott Frost chose to return to Nebraska, his alma mater. National media have questioned throughout the offseason how much of UCF’s success was owed to Frost, especially since the team was just two years removed from a winless season. UCF’s ranking is also the lowest for a team coming of an undefeated season in more than a decade.